Page Jump: ========== 1 - Introduction 2 - How well does 240Hz play? The numbers surrounding electronic sports, or eSports, are astounding. According to Twitch, the streaming video service, in December 2016, Dota 2, CS: Global Offensive and League of Legends racked up almost 40m hours of competition coverage air time alone. Think about that for a second. If that's not impressive enough, Valve's The International event had a prize pool of over $20m... with the winners taking home over $9m. eSports is wildly popular and potentially very lucrative. So it's no surprise that hardware manufacturers are queuing up to launch eSports-specific peripherals and screens. Team sponsorship plays a big part in promoting their wares, because what's good enough for Wings Gaming or Digital Chaos - two of the best-known teams - is appealing to the casual gamer with an interest in the competitive side of gaming. 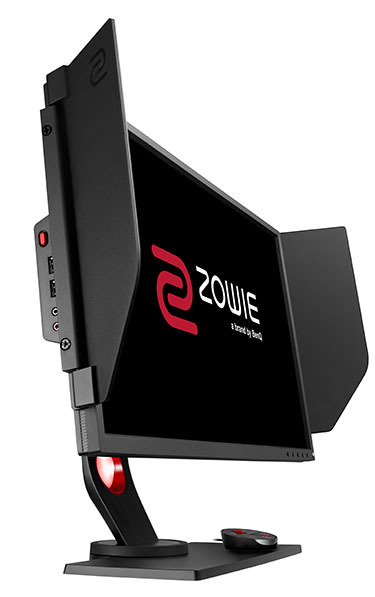 Zowie, now owned by BenQ, has built its reputation on providing no-nonsense hardware to the eSports community. The company's design philosophy of function through form is an antithesis of modern-day thinking that loads peripherals with RGB lighting, often-superfluous buttons and garish colours. The BenQ tie-in makes obvious sense when thinking about gaming monitors. 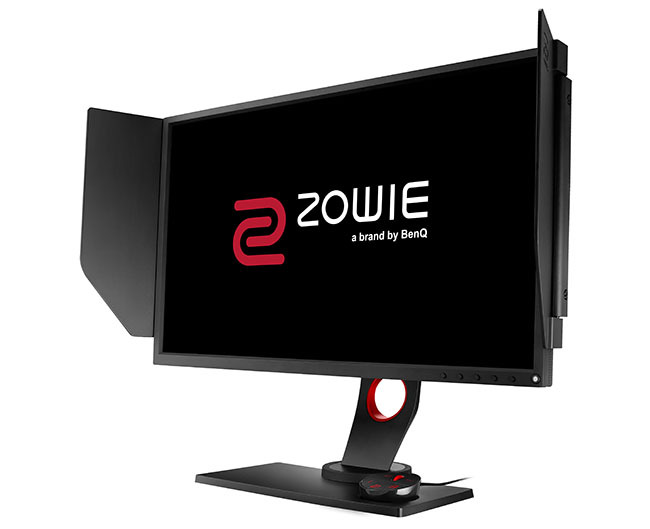 Given Zowie's heritage, monitors from the range are optimised for high-framerate gaming. Why? Because professional players often reduce image quality in favour of super-fast response time and razer-sharp refresh. This is why running the screen at 100Hz-plus has become common amongst the elite gaming set. And that leads us on nicely to the monitor in review for today. The XL2540 is special insofar as it offers a stratospheric 240Hz refresh rate on a 24.5in panel with a native 1,920x1,080 resolution. The XL2540 is simple in design. A dark-grey, matte finish avoids fingerprints on the bezel. The stand, which attaches to the back and takes all of a minute's assembly, has 140mm of vertical adjustment, with a set of red marker lines showing exact height. This makes sense because knowing the precise height is key when moving the screen around. Similarly, there's more swivel than usual, 45°C in each direction, and another set of red markers shows exactly where you're at. This function is less important for two reasons: the gamer will tend to be head-on, and the panel uses TN technology that is infamous for narrow viewing angles. 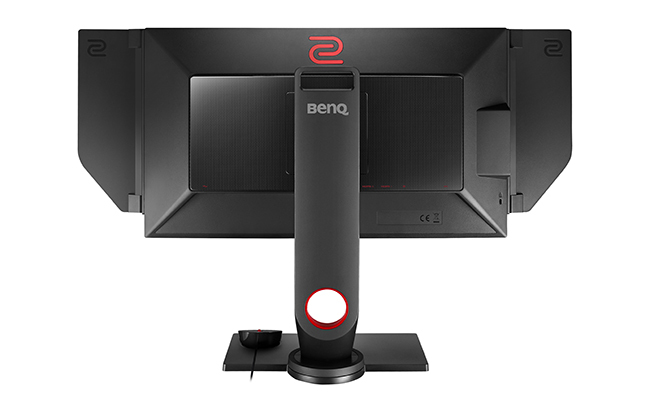 BenQ is a fan of having adjustable, detachable 'ears' on top-level screens. The premise being that colours or lighting in your peripheral vision may take the full concentration from the screen. It's an idea with implicit merit, and we've previously used them on a photographer-specific screen - it takes a bit of getting used to yet feels natural henceforth. Notice the small red 'button' on the left-hand side? It pops out and serves as a headset holder. Five buttons offer easy navigation through the various menus. If you play a number of different games and want easy access to various presets and colour schemes that work best, the XL2540 comes with a USB-connected control puck - known as S Switch - that enables you to instantly load one of three stored profiles or change the input without touching the panel itself. A small amount of memory within the puck allows for profiles to be transferred to another monitor if need be. Note that achieving the highest 240Hz refresh rate at the full-HD resolution requires either HDMI 2.0 or DisplayPort connectivity from your graphics card. 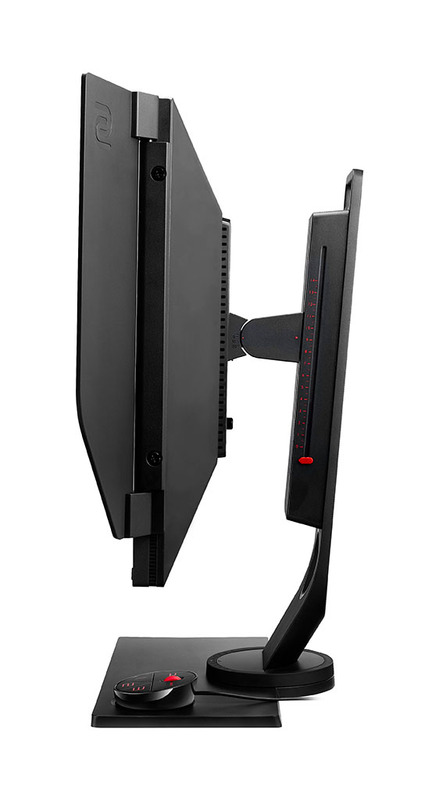 The monitor features two HDMI ports, with the left one, as we look at it, capable of the highest refresh rate. There's also dual-link DVI and a downstream hub for two USB 3.0 ports. Moving on to the most important part. The panel is one of a very new breed that offers a 240Hz refresh rate. Having such a lofty maximum refresh rate and targetted towards the eSports gamer means it's suitable for playing Counter-Strike: Global Offensive, Overwatch, Dota 2 and League of Legends, if your PC hardware is up to the job. Even so, a meaty PC is required to drive super-high frame rates. Helping matters when the FPS dips somewhat, the XL2540 is compatible with AMD's FreeSync technology, from 48-240Hz under both HDMI 2.0 and DisplayPort. As an eSports gamer, you really need to be hitting 144-240Hz for this panel to make sense. You pay handsomely for the privilege of owning such a high-refresh screen - the XL2540 currently fetches £425 at retail, compared to, say, £125 for a full-HD panel with a 60Hz refresh rate. Of course, such a comparison misses the entire point of this monitor, so let's go ahead and compare gaming at 60Hz, 120Hz and 240Hz.